Digitraffic is a service operated by Traffic Management Finland offering real time traffic information. Currently the service covers information about road, rail and marine traffic. The information is open data, which is distributed through open APIs. As a term Digitraffic refers to digital traffic, a model representing traffic. 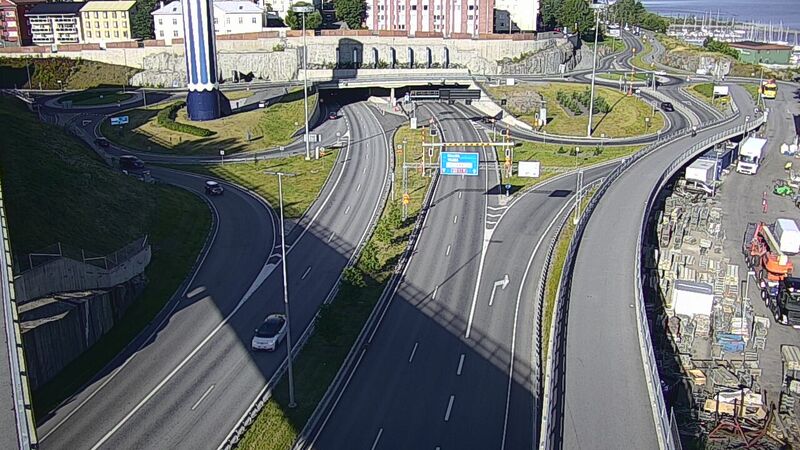 Road weather camera image, Road 12 Tampere, tunnel entrance, east. The development of Digitraffic started in 2002 as a joint project between VTT Technical Research Center of Finland and Helsinki University of Technology (now Aalto University), with a goal to produce improved services for traffic telematics. After the research phase Digitraffic was transferred to the Finnish road aministration and later on, to the Center for Economic Development, Transport and the Environment of Southeast Finland. The Finnish transport Agency managed Digitraffic from 2014 to 2018, making Digitraffic fully open data, deploying it in a cloud service and expanding it to cover information from rail and marine traffic. The information distributed through Digitraffic is based on data collected by the Traffic Management Finland, the Finnish Transport Infrastructure Agency and the Finnish Transport and Communications Agency Traficom. The data is collected for operative purposes and shares the data according to open data principles. Using the data is free and does not require a contract with the Traffic Management Finland. However, the licensing terms must be followed.